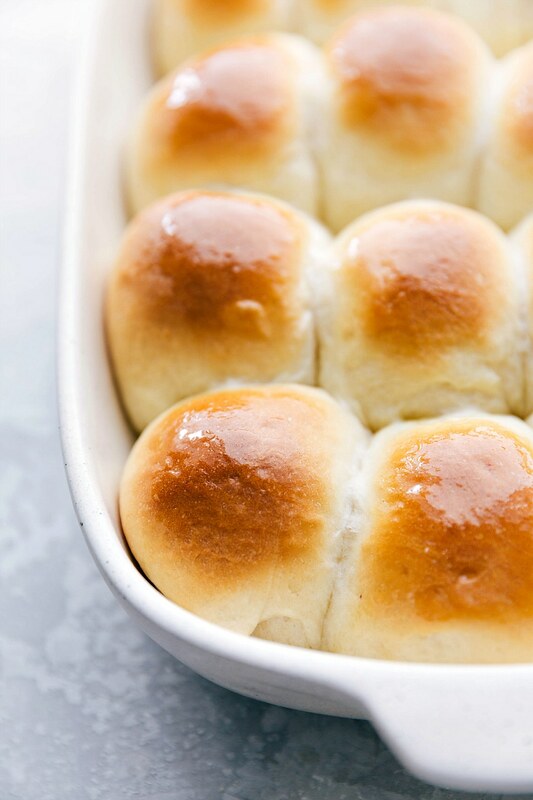 Our favorite easy dinner rolls made with only 8 ingredients! 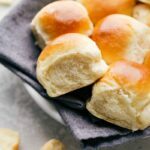 This post walks you through each and every step of making this rolls recipe. Plus all my tips and tricks for perfect dinner rolls every time. 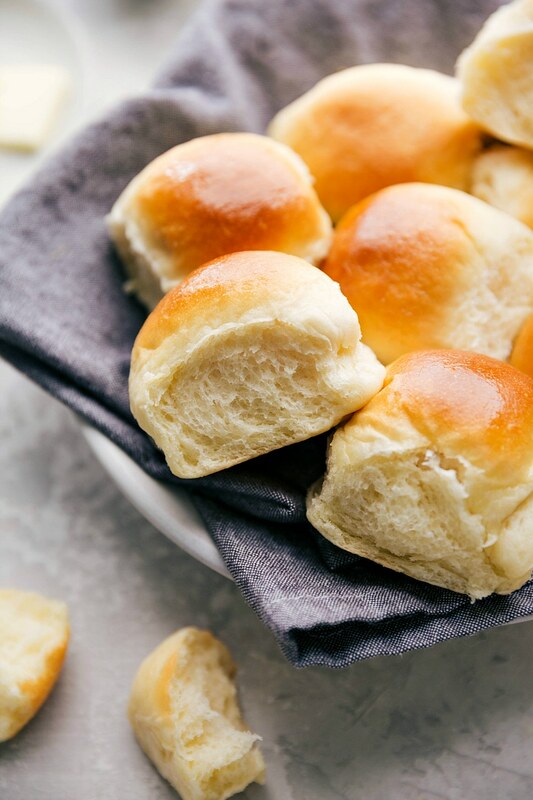 Serve these soft dinner rolls alongside some of our favorite dinners: shepherd’s pie, crock pot roast, or spaghetti bolognese. OR use them to soak up some of the best soup recipes: broccoli cheddar soup, creamy vegetable soup, or this tortellini soup. These rolls have been a couple of months in the making. And my neighbors can attest to that 🤣 But finally, I’m sharing what I’d consider the ultimate dinner rolls! They’re soft, flavorful, and perfectly buttery. Warm the milk to to 105 – 115 degrees F.
Next we proof the yeast, which means that we activate it. To do this, add the yeast and sugar on top of the warm milk and let it stand for 5-10 minutes. Activated yeast with have a bubbly foam on the surface, just like the picture below on the left. If you don’t get the foamy yeast you’ll need to start again or you’ll end up with dense homemade dinner rolls. The 2 most common reasons for the yeast not activating is old/bad yeast, or the milk was too hot. Once the yeast is activated, add in the softened (not melted and not cold) butter, egg, and remaining sugar. You’ll mix this until combined. Add in 1 cup of flour and salt. Mix until combined, scraping down the sides as needed. The picture below and to the left is showing flour that has been spooned and leveled. If you press a measuring cup into a bag/container of flour and scoop it up you’ll have too much flour. Instead, spoon flour into the measuring cup and then level of the top with the back of a butter knife. 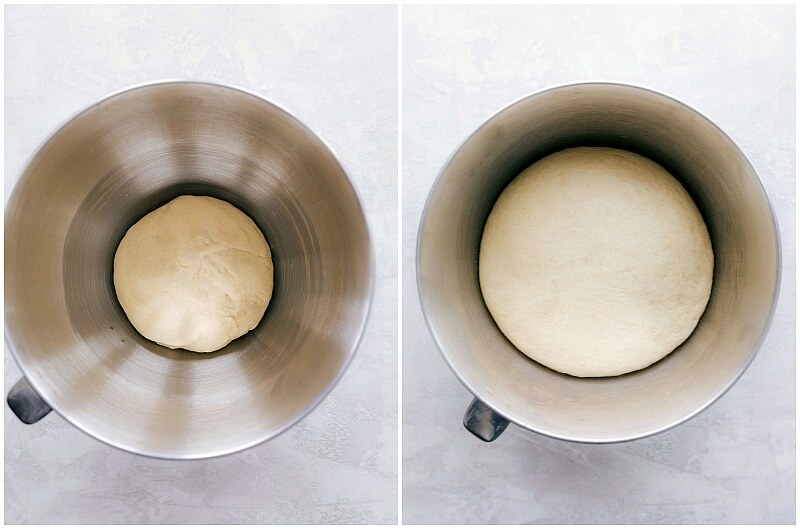 Now you’ll beat everything together until it forms a dough that gathers around the dough hook. If your dough isn’t collecting, you likely need a bit more flour. 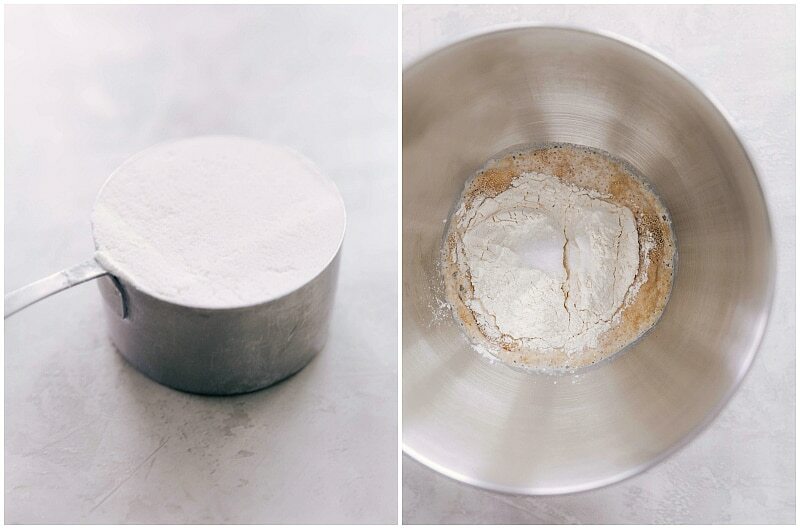 Add flour SLOWLY — tablespoon by tablespoon until it pulls together. One of my tips for the best dinner rolls? Resist the urge to add too much additional flour as this will take away from the softness of the dinner rolls. The dough should be slightly sticky and tacky. Yeast rolls end up dense because of inactivated (dead) yeast, too much flour, and/or not enough rise time. Knead by hand for about 2 minutes to get the dough into a nice round ball. 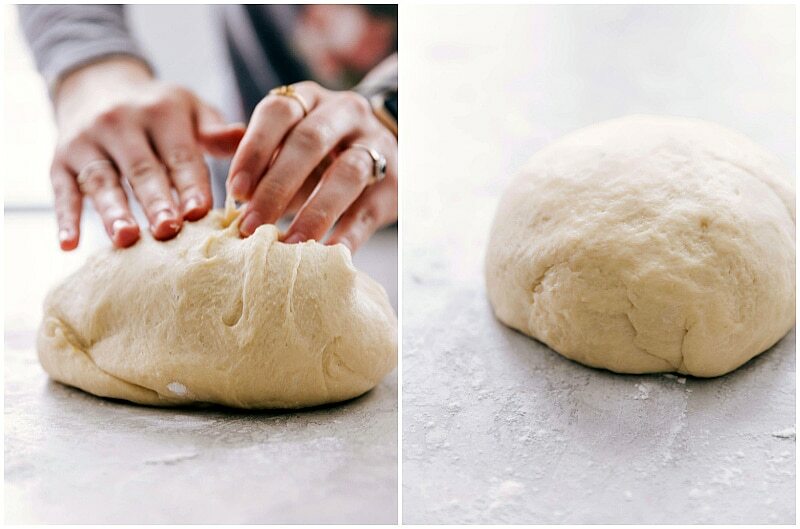 Since the dough should be a bit sticky, lightly dust the table and your hands with flour to knead. Very lightly dust the surface so you aren’t adding in a bunch more flour. Gently form the dough into a ball and place in a large greased bowl; I like to use a little bit of vegetable oil. Cover. Let rise until doubled; about 1 and 1/2 to 2 hours in a warm, draft free environment. Ideal rise temperatures are between 80 to 90 degrees Fahrenheit. Higher temperatures might kill the yeast and keep the dough from rising while lower temperatures will slow the yeast activity (which will increase rise time). While the dinner rolls will arguably have a better flavor the longer it has to rise, there are a few ways to speed up the rising process. The dough will rise faster in a warm (not hot!) environment. Either put the rising dough in front of a fireplace on low heat OR heat your oven to 170 degrees F, turn it off, add the bowl of dough to the oven rack, and keep the oven open just a crack. Now separate the dough into 15 to 16 equal pieces. I love using a food scale to ensure all the dinner rolls are the same size. If you have a food scale, aim for each roll to be 1.9 ounces. Now the rolls will rise once more in a greased 9 x 13 pan and this time for about 45 minutes to 1 hour. Near the end of the rise time, preheat the oven to 375 degrees F.
Using a pastry brush, rub some melted butter over the tops of the rolls right out of the oven. Pour warmed milk into the bottom of your stand mixer bowl. 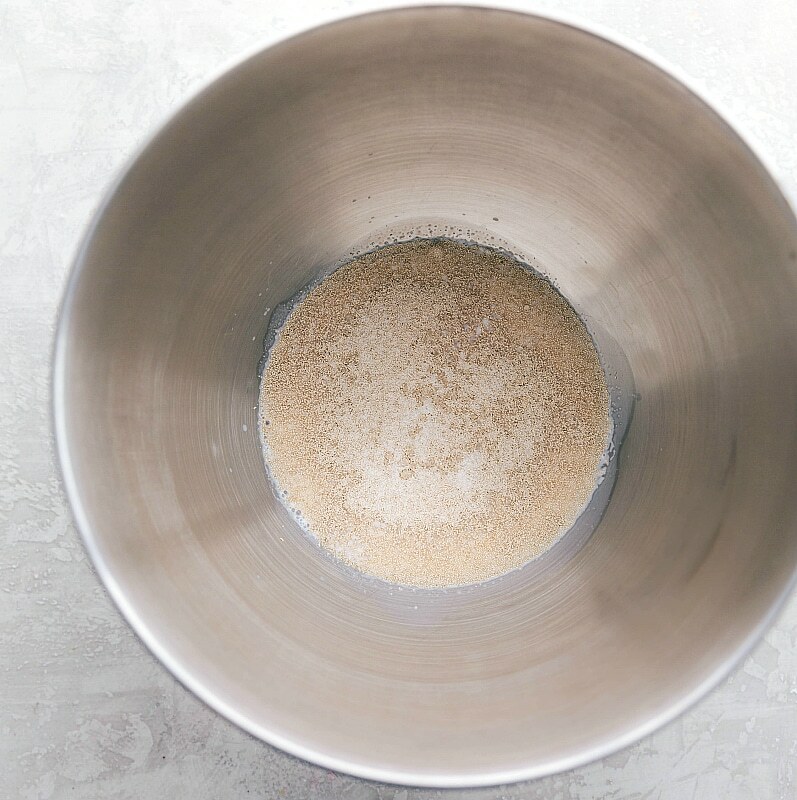 If you have a thermometer ensure the milk isn't heated above 115 degrees F. Sprinkle the yeast in an even layer right on top of the milk and then sprinkle the 1/2 teaspoon white sugar right on top of the yeast. Do not stir or move. Cover and let stand for 5 minutes. The yeast should be very foamy after 5 minutes (check photos in post). If not, your yeast is dead and you'll need to begin again. Either the yeast was bad or the milk was too hot. Add remaining 1/4 cup sugar, 5 tablespoons softened butter, and large egg. Mix to combine. 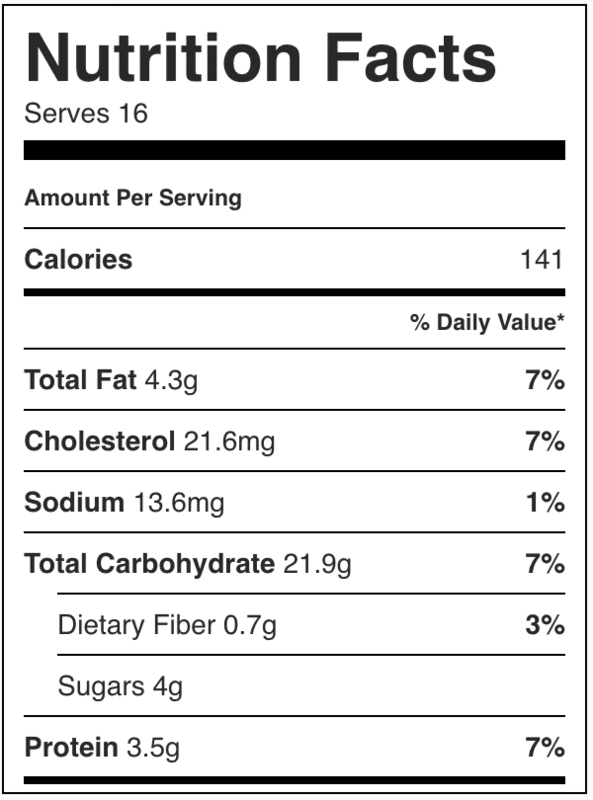 Add in 1 cup of flour (136 grams; use a food scale OR spoon and level the flour measurement) and the salt. Beat on low speed for about 1 minute scraping the sides of the bowl with a rubber spatula. Now add 2 more cups of flour (261 grams). Beat on medium speed until the dough comes together and begins to pull away from the sides of the bowl. Increase speed and beat for about 1 minute. Slowly add the remaining 1/4 cup flour (1 tablespoon at a time) as needed until the dough no longer clings to the sides of the bowl and is wrapped around the dough hook. The dough should still be quite sticky and tacky. Lightly sprinkle a surface with flour. Tap your hands in the flour and pull the dough from the bowl. Use a spatula to remove all the dough. Knead on the lightly floured surface by hand for about 2 minutes. Knead into an even ball. Cover ball with towel and wash out the mixer bowl. Dry the bowl. Pour in 3/4 teaspoon vegetable oil and rub it all over the bowl. Place the dough in the bottom of the bowl and rub the remaining 1/4 teaspoon vegetable oil to coat the ball of dough. 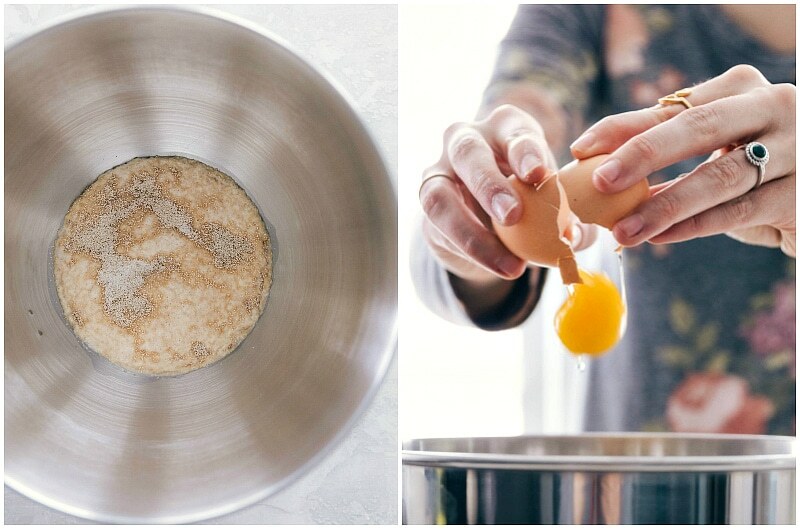 Cover the bowl with plastic wrap or a clean kitchen towel. 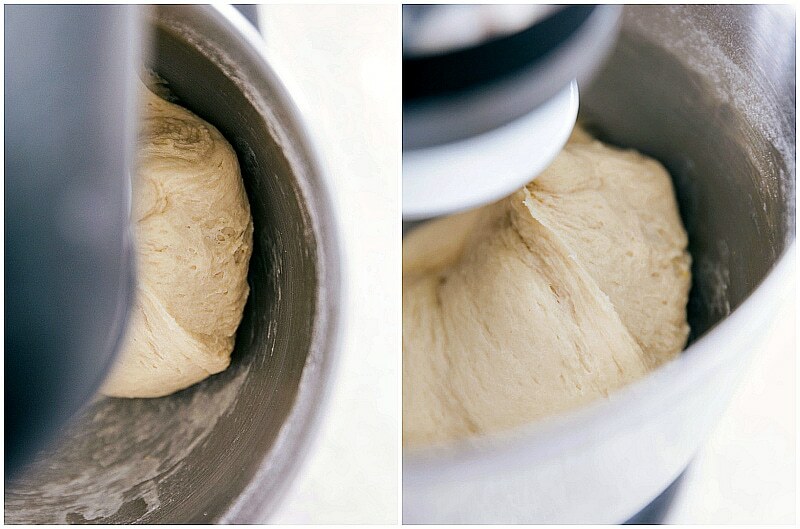 Allow the dough to rise in a draft-free warm environment for 1 and 1/2 to 2 hours or until double in size. Grease a 9×13 inch baking pan with nonstick spray. When the dough has risen, punch it down to release the air. 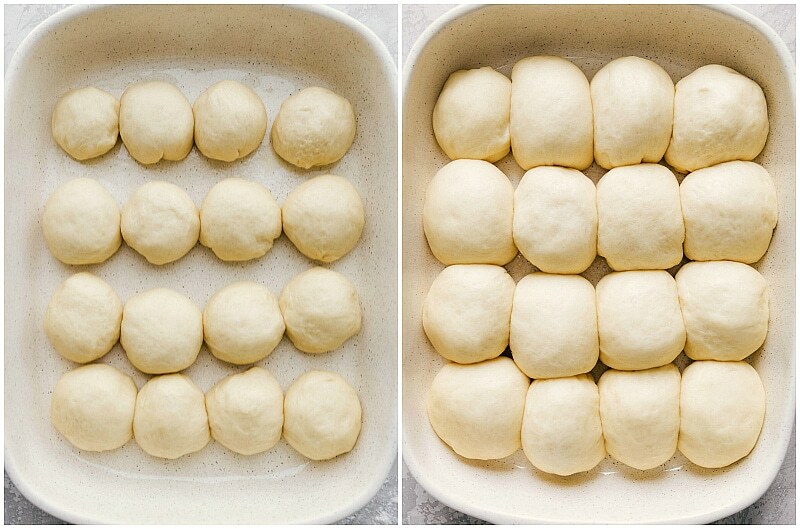 Divide the dough into 16 equal pieces. I love using a food scale here! 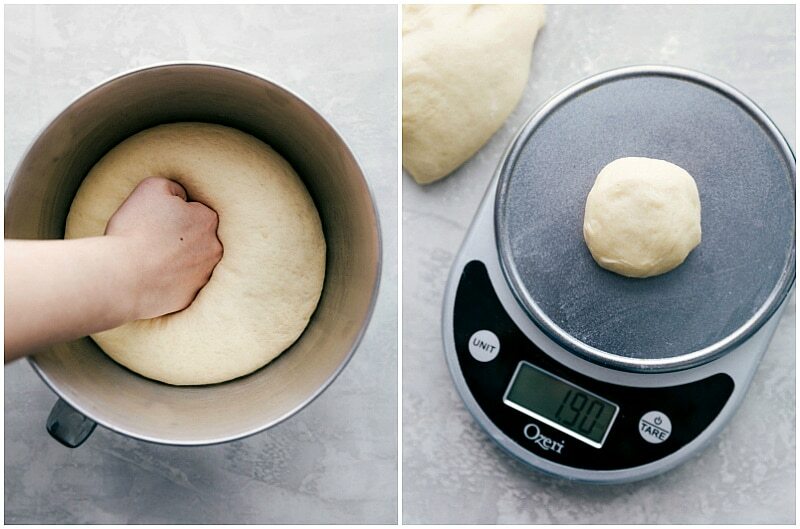 Each dough ball should be around 1.9 ounces. Shape each piece into a smooth ball (I just shape it with my fingers, pulling dough around to the bottom until a smooth ball is formed) and then place in the prepared pan. Cover rolls with plastic wrap or a clean kitchen towel and allow to rise again in a relatively warm environment. This takes around 30 minutes to an hour. Bake the rolls: Bake for 17-24 minutes or until golden brown on top. Rotate the pan halfway through. If the tops of the rolls are browning too quickly, loosely place a piece of foil over the tops. Remove rolls from oven. Melt the remaining 2 tablespoons of butter and brush across the tops of the rolls. Allow to slightly cool before using a metal spatula to pull out the rolls. Transfer COMPLETELY COOLED leftover rolls into a plastic bag and store at room temperature for 2-3 days. Alternatively, store in the fridge for up to 1 week. We like these best the same day they're made.